Your pet rat has always been active and healthy but lately you may have noticed he's moving a little more slowly and doesn't seem to have the strength in his limbs that he once did. 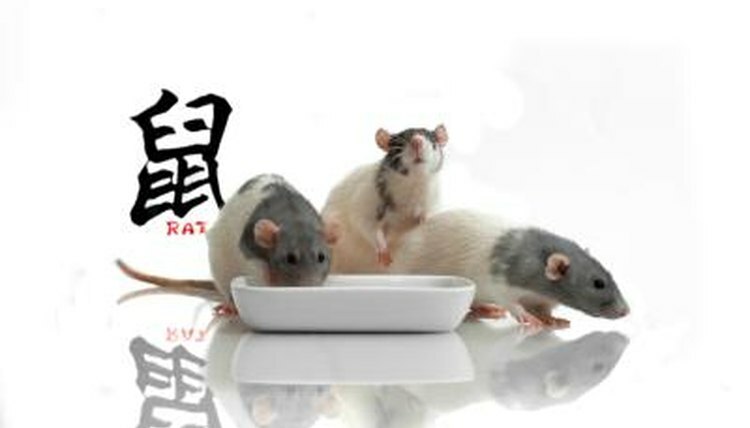 As rats get older, especially once they have made it past their second birthdays, paralysis becomes a real threat to their well-being and is something you may have to contend with as a responsible pet owner. The term "paralysis" is more of a catchall than a specific diagnosis in the pet rat world. Paralysis is generally considered to have occurred when a rat can no longer move a portion of its body. It's relatively common and can be caused by an assortment of different health problems. The hind legs are most commonly affected by paralysis, but the front legs may also be affected. If your rat suffers a stroke, one side of his body may be affected by paralysis. It is not uncommon for a rat to have a stroke. If your rat is normal and active one day and appears to be having difficulty moving one side of his body the next, chances are fairly high that a stroke is to blame for his troubles. Spinal degeneration and/or compression of the vertebrae are also relatively normal problems for older rats to experience and tend to cause hind-limb paralysis. Tumors, to which rats are very prone, can also cause paralysis, especially when located on the pituitary gland. Weakness in the limbs may also prevent your rat from using his legs and make him appear paralyzed. A fall or injury can also be responsible for the paralysis. If your rat becomes paralyzed you absolutely must take him to the veterinarian for treatment. Paralysis can cause additional health problems and it is important to make your rat as comfortable as possible to prevent him from suffering. Some causes of paralysis are more treatable than others. Massaging and moving the paralyzed limbs can help your rat maintain muscle tone and may help him recover from paralysis that was caused by stroke. Your veterinarian may put your rat on a steroid or antibiotic to help slow the progress of the paralysis and keep your rat more comfortable. Advanced medical treatments have been used to cure research rats of paralysis in a laboratory setting but may not be available for your aging pet. Paralysis does not have to be a cause for euthanasia. As a rat lover, you know your little friends have a zest for life, and a paralyzed pet rat can continue to live happily so long as the condition is manageable and you take the time and responsibility to care for your newly special-needs pet. Rats with paralyzed hind limbs can often continue to function relatively well because they can drag themselves along with their front limbs—just make sure they're able to get to food, water and their preferred sleeping areas. You may need to help with your rat's once-meticulous grooming: he may be unable to get wax out of his ears or gunk out of his fur with limited mobility. Paralyzed rats are more likely to suffer from health problems caused by a lack of activity or the body's inability to maintain a strong immune system, so examine him frequently for any signs of disease. Bladder infections are particularly common in paralyzed rats.